Let us help you find the answers. 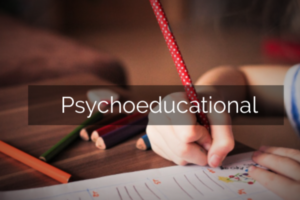 Our team of psychologists are experienced in working with children, teens and adults and developing evaluations that respond to each client’s needs. We understand that evaluations are not only a benefit to overall care, but an investment. Our goal is to provide you with the highest quality experience and develop thoughtful, actionable recommendations. functioning to clarify diagnosis and develop a roadmap for treatment. If a person is experiencing problems at work, in school, or with maintaining relationships, clinical testing can help understand what emotions or personality traits may be contributing to their problem. Psychological tests and assessments allow a clinician to understand the nature of unclear or complex problems, as well as ways to offer effective treatment. 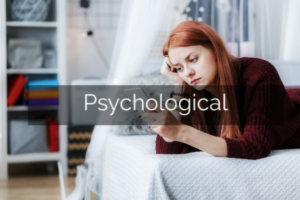 Georgetown Psychology Associates offers psychological evaluations to assist individuals and, in many cases, their treating therapists and psychiatrists in clarifying diagnosis and treatment recommendations. Testing combines both objective and projective tests to gain information regarding underlying emotional and personality patterns that may be getting in your way. This can be especially helpful when clients and/or treatment providers are feeling stuck and require additional information to proceed in the most effective manner. For some clients, this may be part of a larger evaluation to assess for other conditions, such as ADHD and learning disabilities, which may be contributing their mental health problems. For others, the focus is strictly on psychological/ emotional functioning and behavior, such as anxiety or depression. Many with ADHD may show signs of the condition in childhood but were never diagnosed or treated. 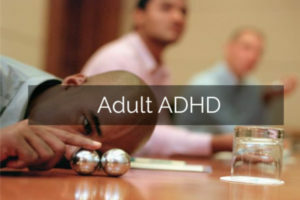 In adulthood, ADHD is often associated with work or academic performance problems, relationship struggles, and mental and physical health issues. ADHD symptoms can mimic other conditions; thus, a targeted assessment is often the best starting point to secure an accurate diagnosis. An adult ADHD assessment is typically completed in 4-6 hours through specific tests to assess cognitive functioning, executive functioning, and social-emotional functioning, as well as the integration of supporting documents and consultations with other sources close to the client. For adults who are also students and in need of academic accommodations, more comprehensive testing may be needed. The results are discussed in a follow-up meeting and in a detailed report which is provided to the client. In addition to diagnostic clarity, the evaluator will provide a roadmap for treatment. Testing is one part of the application process for independent schools in the DMV. Children under the age of 6 take the Wechsler Preschool and Primary Scale of Intelligence- Fourth Edition (WPPSI-IV). Children ages 6 years and older take the Wechsler Intelligence Scale for Children- Fifth Edition (WISC-V). In some cases, children are also asked to take the Woodcock-Johnson-IV, Tests of Achievement (WJ-IV). Our evaluators work to ensure that the assessment process is a smooth and positive one for your child, and for you. 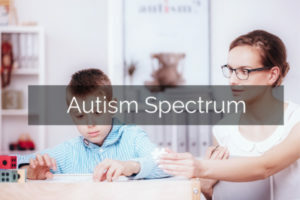 Our evaluations for Autism Spectrum Disorder (ASD) can occur as part of a comprehension psychoeducational evaluation or separately as a stand-alone evaluation. ASD is a heterogeneous condition that is characterized by impairment in reciprocal communication and social interactions, as well as restricted, repetitive patterns of behavior. Our team has specialized training in administration of the Autism Diagnostic Observation Schedule, Second Edition (ADOS-2), a research-based, standardized measure considered among the best assessment tools for ASD. 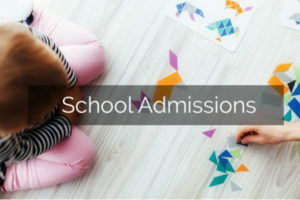 Our evaluations also include assessment of cognitive and language functioning, as well as information collected from parents, teachers, and caregivers. Through verbal feedback and a written report, we provide detailed information on one’s symptom profile in order to inform targeted recommendations for intervention across settings. 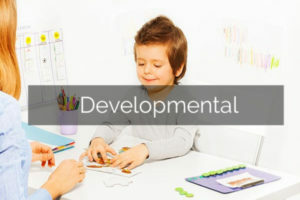 Developmental delays are not uncommon and can often be effectively treated with early intervention. When unrecognized, developmental challenges can contribute to behavioral difficulties and put children at risk for learning challenges in the years ahead. Seeking help in the toddler years can reduce anxiety and ensure that children receive the appropriate services. We offer evaluations for young children that provide an overview of a child’s development, identify strengths and areas of need, and develop tailored recommendations for early intervention.